No meat, no worries. When it comes to getting enough protein, there’s an abundance of plant foods that deliver a protein punch. Protein is important for growth, tissue repair and recovery from exercise. It’s made up of smaller parts called amino acids. There are 20 amino acids that we need for good health. Our bodies can make 11 and the other nine need to come from our food – these are known as ‘essential’ amino acids. Some foods provide a few essential amino acids, others provide them all. If you eat a wide variety of food you’ll be sure to get the protein you need. 1. Pistachio – 30g handful = 6g protein. These tasty little morsels are the perfect package providing the awesome combination of plant protein, iron and zinc – important nutrients if you are on a vegetarian diet. Pistachios and almonds have the most protein of all nuts with just one handful containing 6 grams. Another nutty option is cashews, providing 5 grams of protein in one handful. Pass the peas please! Like all legumes, peas pack a protein punch with a cup of peas providing almost 8g of protein. These little dynamos are also big on fibre, vitamin C and vitamin K. Now forget the mushy, over boiled peas your mum served you as a kid and think about the burst of sweetness from adding fresh peas to salads, pastas, frittatas or even pureed in pestos. Amaranth is the cousin to the “on trend” quinoa and is rising in popularity because of its high protein content. This ancient pseudo-grain (it’s actually a seed) is gluten-free and contains all the essential amino acids. It can be popped to create a crunchy topping, cooked into porridge, used in salads like quinoa or ground into flour. Aiming for 20g of protein at brekkie may help regulate your appetite and keep you full for longer. To hit this target, there’s no need to fuss with a fry up. Wholegrain wheat is a source of amino acids with something as quick and easy as two wholegrain breakfast biscuits containing 3.63g of protein - and that’s before you add milk. 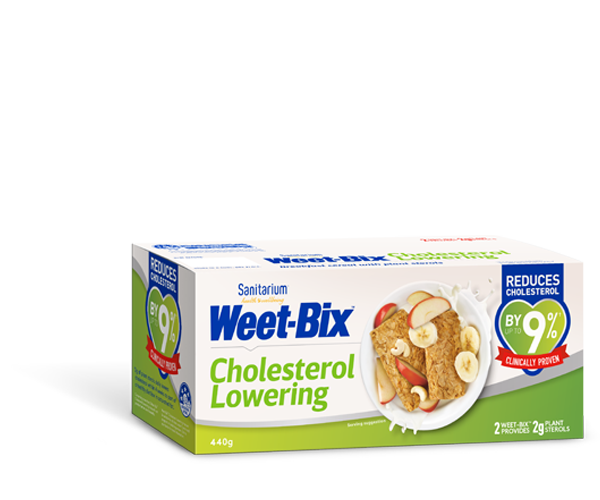 A serve of oats provides 5g of protein and there are also high protein breakfast cereals now available. So cereal + milk + a latte will quickly add up to 20g of protein. If you are looking for an excuse for your morning cappuccino here it is! Milk and fortified soy milks really are a glass of goodness, providing all the essential amino acids, as well as B group vitamins, calcium, phosphorus and potassium. If you prefer milk alternatives, there’s no need to miss out on the protein, with soy milk providing as much protein per cup, plus other nutrients. The humble spud often gets a bad rap in the nutrition stakes, but a tasty potato should not be dismissed. A medium sized potato will provide around 4g of protein and is also a good source of potassium. Try baking them whole and enjoy skin and all, for extra fibre and B group vitamins. Whether snacking on apple slices with peanut butter, or spreading it on your morning toast, this favourite spread stacks up, providing essential amino acids, vitamin E and magnesium. In fact all nut butters contain protein, so if you’re not a peanut fan try almond butter or the popular ABC spread which contains a nutritious mix of almonds, Brazil nuts and cashews. This ancient bean was one of the first farmed crops. In fact evidence of broad beans were even found by archaeologists among excavations of ancient Troy. Known as the kings of beans, broad beans are full of nutrients with a 150g serve providing 11g protein as well as fibre, folate, vitamin C, iron, riboflavin and thiamine. Yoghurt is a great addition to cereals, smoothies and snacks for a protein boost. The amount of protein will vary from product to product, with natural and Greek-style yoghurts generally containing the most protein, some as high as 15g a serve. Choose plain or natural varieties if you are after less sugar and a yoghurt with at least 100 million colony forming units (CFU) if you are looking for yoghurt that provides good bacteria. These tiny seeds have a long list of nutrition credentials including an unusually high amount of omega-3 – an essential fatty acid for brain function and heart health – plenty of calcium, loads of fibre and an excellent source of protein. They are also incredibly versatile, which is why you are now seeing them added to so many recipes and supermarket products. Try chia sprinkled on salads or cereal, added to bliss balls or smoothies, or even soaked overnight ready to start the day with a chia pudding. Now that’s a super food! Chickpeas are budget-friendly nutrition at its best. They are cheap to buy, low in fat, low GI and a good source of B group vitamins, iron, zinc, folate and magnesium. They are also an excellent way to add amino acids to your diet. Mix them with tahini (sesame paste) to make a hummus and you’ll tick the box for a nutritious spread that is a complete protein – a reason to eat more hummus, yes please! In fact, any legumes are a great source of plant protein with a cup of lentils providing 10.2g and even the old pantry staple, three bean mix containing 5.6g of protein a cup.